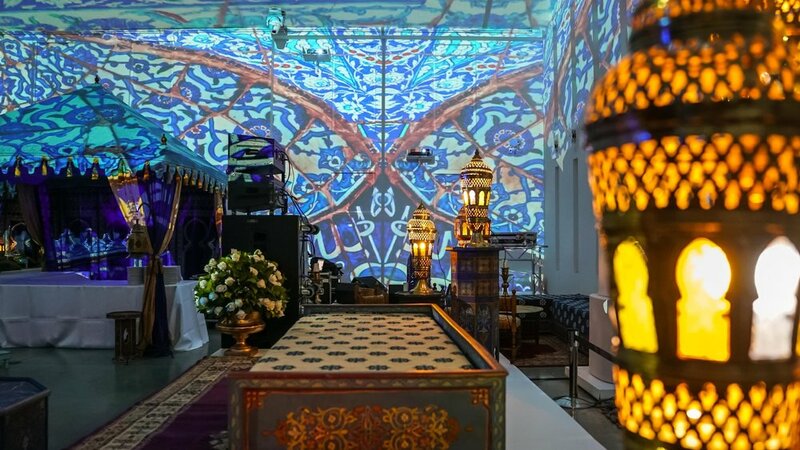 This stunning Jewish Moroccan ceremony transported guests to Morocco with a fully immersive environment, with both projection mapping and gorgeous Moroccan furniture, décor and catering. 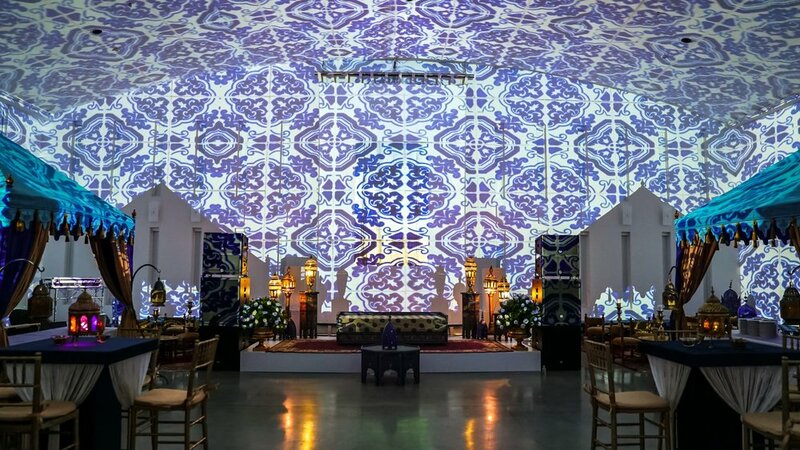 Inspired by the Northern Morocco city of Chefchaouen, which is known for the striking, blue-washed buildings of its old town, the projection mapping surrounded guests with cityscapes, and Moroccan tiles. 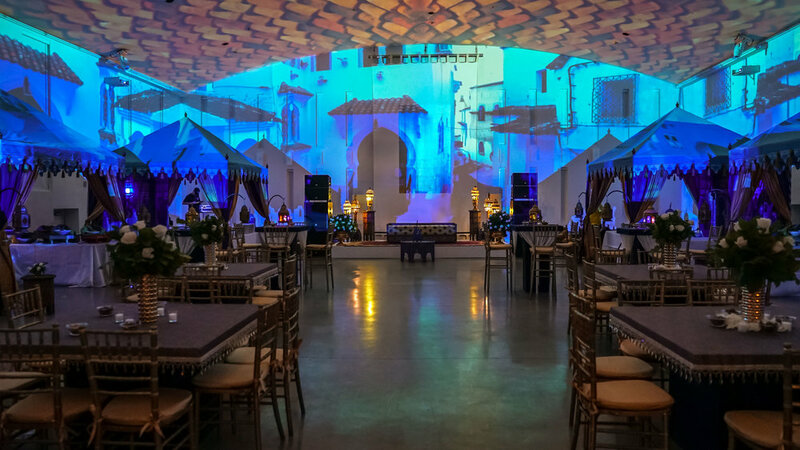 The tents surrounding the room made it feel like a traditional Moroccan market, mixed in with beautiful Moroccan décor, furniture and lanterns. During the traditional ceremony, the bride was taken to the outside terrace, and live footage was projected onto the walls for the groom to only see bits and pieces until she came back down dressed in her magnificent gown. 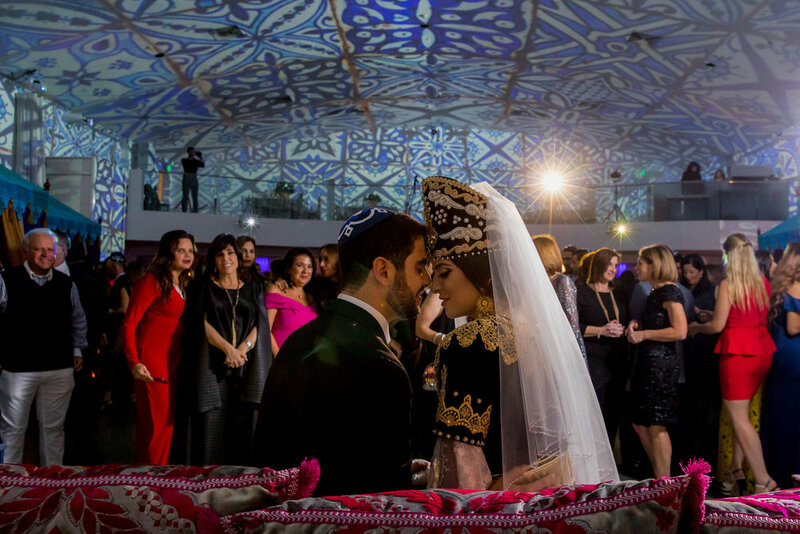 La Noche de Novia, also referred to as a Berberisca, , is a traditional Moroccan Jewish ceremony that takes place during the week that precedes a wedding. The bride makes her entrance, magnificently made up and dressed in the Berberisca gown called ‘Traje de paños’, “Vestido de Berberisca” (Spanish), or “Keswa Elkibra” (Great Dress in Arabic). 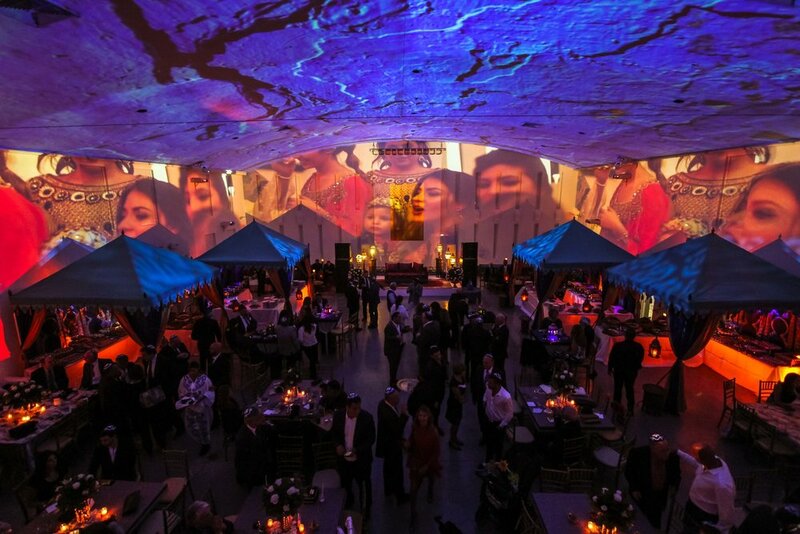 The evening (Noche) honors the bride to be, who wears an intricately designed gown passed down through generations, as the couple is surrounded by family members who sing and offer blessings in celebration of the marriage. The family of the groom and bride, accompanied by close friends, gather to sing and to praise the bride. The tradition is 2,000 years old.